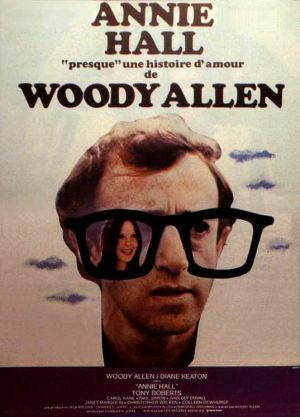 Allen Stewart Konigsberg, known to the world as Woody Allen, is one of the most prolific directors working in cinema. He has made 45 films to date and in recent years has produced at least one film a year. Some say that the sheer volume of his work has led to a diminution in quality but he continues to work with some of the best and most interesting actors around and to make films which are always on budget and over which he has complete editorial control. His career began in the early 1950s when he was hired at the tender age of 19 as a writer for the Ed Sullivan Show. He became a stand up comedian in the early 60s and his routines from that time are among the funniest you will ever hear. In 1969 he wrote and appeared in Play It Again Sam, a hugely successful Broadway production that later became a film. In the 1970s he turned his hand to writing and directing films and produced a series of comedies including Take the Money and Run, Bananas, Love and Death and Sleeper – all screwball comedies or genre spoofs. In 1977 he hit the box office jackpot with Annie Hall – a big hit with audiences and critics alike, the film garnered 4 Academy Awards including Best Picture. Sub titled A Nervous Romance it is a semi-autobiographical comedy, which tells the story of Alvy Singer, a neurotic comedian, and his relationship with a ditzy nightclub singer played by Diane Keaton. 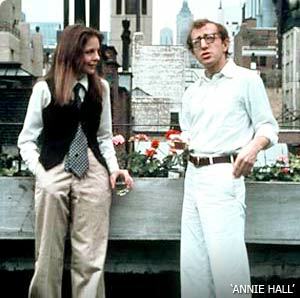 Funny, touching, romantic and poignant Annie Hall is perhaps Allen’s most enduringly popular and satisfying film and redefined romantic comedy for the modern era. In the years that followed his films tended to become darker and less funny although Manhattan, Hannah and Her Sisters, Broadway Danny Rose and most recently Vicky Cristina Barcelona all demonstrate his qualities as a great writer and observer of the human condition. Annie: Oh, you see an analyst? Alvy: Yeah, just for fifteen years. Alvy: Yeah, I'm gonna give him one more year, and then I'm goin' to Lourdes.